Testing out this sleek and portable gas grill by Fuego, the Element is a surprisingly large, and heavy, grill, big enough to barbecue for roughly four adults (159sq inches of grilling space). 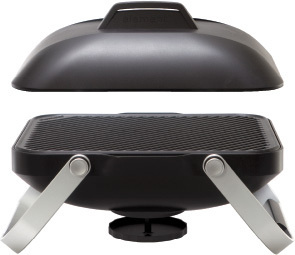 The grill and its casing is made out of cast iron – meaning it's a quality utensil to cook on, will last a long time, but for a portable product is also really heavy (15lbs). 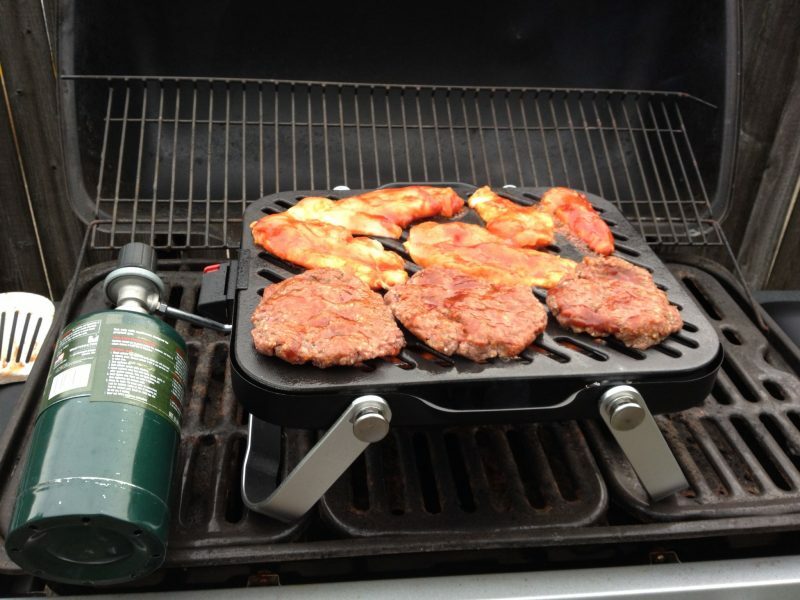 Opening the grill, first you must remove the red rubber band like strap which keeps the cover on the base. Once removed, you're able to fold down the legs of the base, allowing the grill to stand on a flat surface, be it a table top or floor. Hooking up the grill to gas was easier than I expected. It's compatible with either 16.4 or 14.1 oz pressurized LP canisters. I was able to find one easily for cheap at a nearby hardware store. 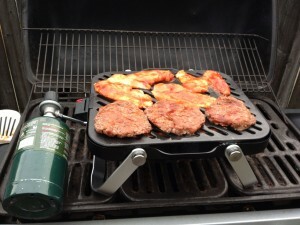 Once connected, I was able to light the grill with a push of a button. However, due to the design of the gas line and the grill top, there were hot spots and cool spots on the grill, meaning not all the food on the grill was cooking at the same temperature and speed. Having said that, overall, it cooked the meat I had on it well (to my specs, not necessarily "well done"). This is a great product for summer and non summer road trips, tailgating at concerts and sports events, picnics in areas that allow open flames, etc. Given the weight of the product, I'd only recommend it if driving or boating. 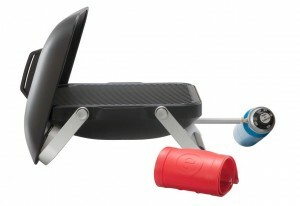 I don't recommend traveling with this product by air or by bike. Be sure to pick up some great kosher meat from your local butcher before using. Some new kosher products I recommend are Grow & Behold as well as Jack's Gourmet sausages, which are great for portable grilling.